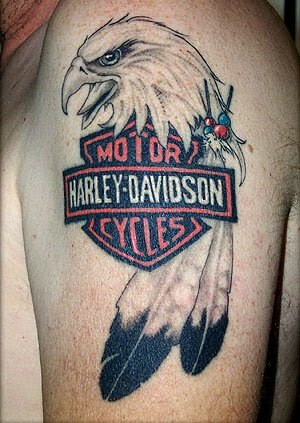 Biker tattoos are generally summarized in an array of tattoo designs including Harley Davidson, bike engines, motorcycle gang names and logos such as the "Hells Angels", and of course motorcycles. 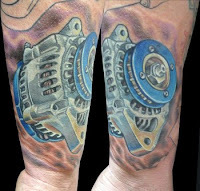 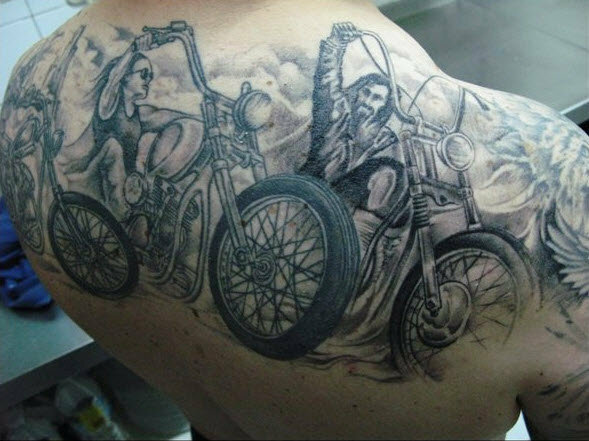 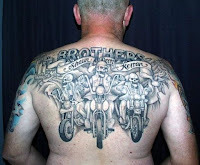 Looking for a cool biker tattoo? 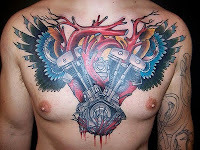 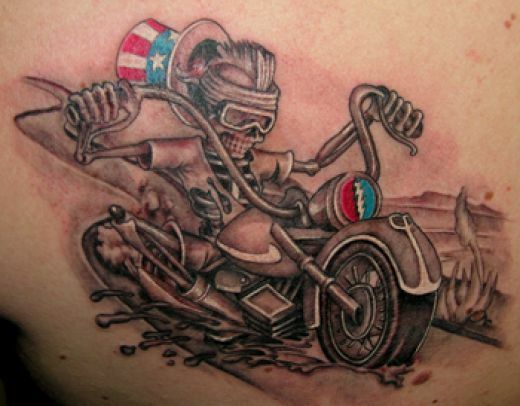 Have a look through this picture gallery of superb biker tattoos. 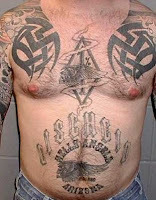 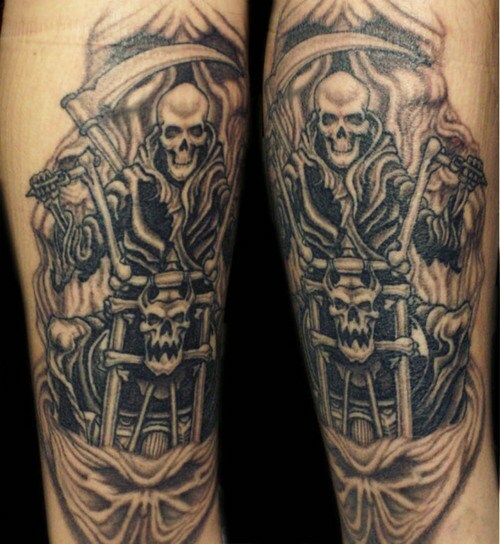 Biker tattoos commonly include skulls and other creatures within larger tattoo designs. 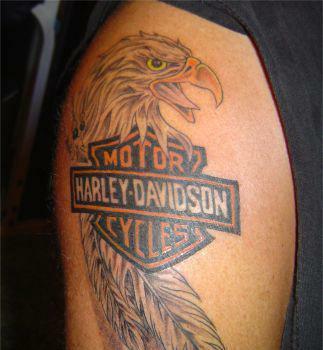 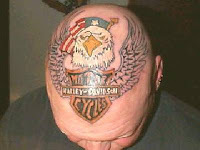 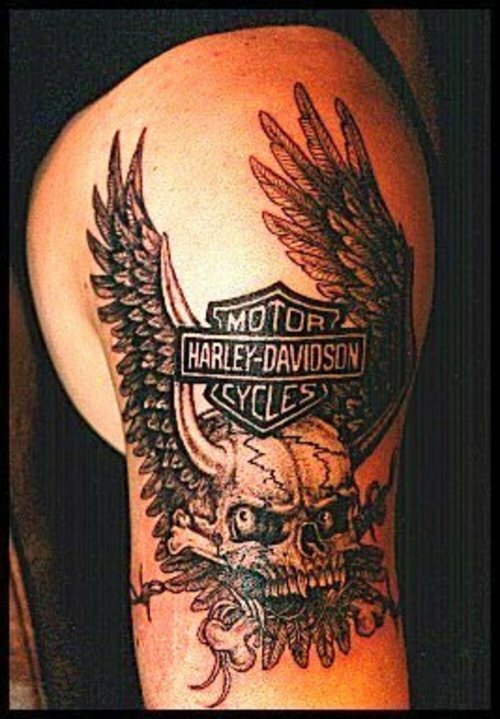 Harley Davidson tattoos are perhaps the most common design among bikers. 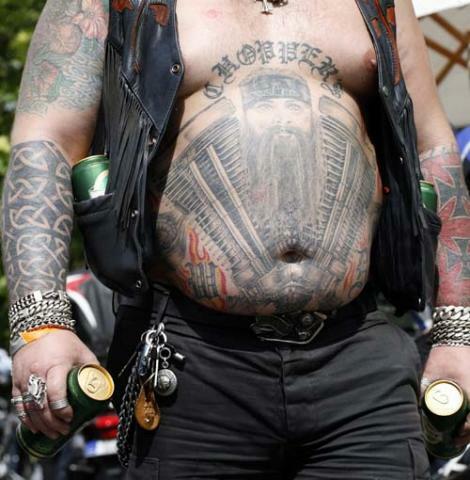 Bikers are known for having extensive tattoos, including sleeves and large back pieces.